Forestry in Bangladesh: Wood is the main fuel for cooking in the villages of Bangladesh. It is not surprising that population pressure has had an adverse effect on the indigenous forests. By 1980 only about 16 percent of the land was forested, and forests had all but disappeared from the densely populated and intensively cultivated deltaic plain. 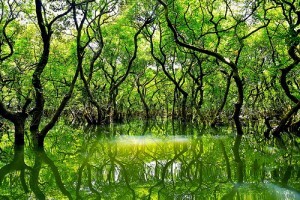 The largest areas of forest are in the Chittagong Hills and the Sundarbans. The evergreen and deciduous forests of the Chittagong Hills cover more than 4,600 square kilometers and are the source of teak for heavy construction, boat building and furnitures. 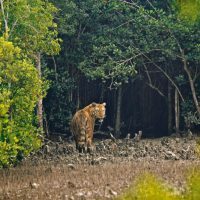 The Sundarbans, a tidal mangrove forest covering nearly 6,000 square kilometers along the Bay of Bengal, is the source of timber used for a variety of purposes, including pulp for the domestic paper industry, poles for electric power distribution, and leaves for thatching for dwellings. Bangladesh Forest Research Institute (BFRI) national institute of forestry and forest product research. It was established as the Forest Research Laboratory (EPRL) in 1955 with the technical assistance of the US Agency for International Development. 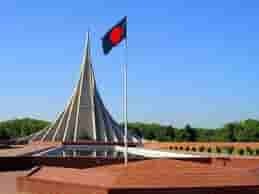 It was renamed as the Bangladesh Forest Research Institute. 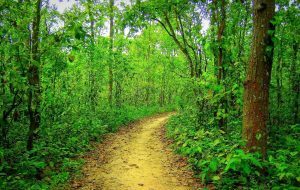 It is a government organization under the Ministry of Environment and Forest, and is located at Sholashahar, Chittagong. The major objectives of the institute are to optimize productivity in hills, plains, villages and coastal forests through the application of technology and to alleviate poverty; provide research backup to forestry and AGROFORESTRY in waste and marginal land for optimum and sustainable utilization; rational utilization of forest produces through the application of technology; help in conservation of BIODIVERSITY and environmental balance in national and rural forests. Agroforestry use of land for a combination of AGRICULTURE and forestry. 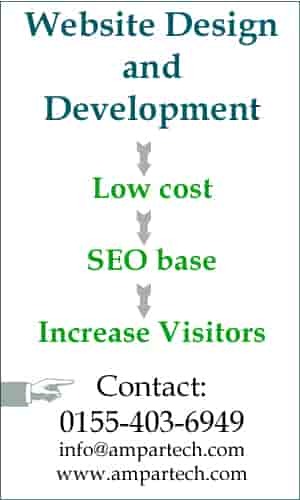 In other words, the practice of growing tree crops or some other fast growing trees along with the main CROP. It is reported that about 10% of homestead trees are being removed annually without replacement. Recently plantation of more tree species along the agricultural lands is being emphasized. Results of different investigations have suggested that the following trees may be grown: Babla, Acacia nilotica; Khair, A. catechu; Khair, A. catechuoides; Datepalm (Khejur), Phoenix sylvestris; Jackfruit (Kanthal), Artocarpus heterophyllus; Palmyra palm (Tal), Borassus flabellifer; Mango (Aam), Mangifera indica as the major trees and Shimul, Bombax ceiba; Silk cotton tree (Shimul), Ceiba pentandra; Coconut (Narikel), Cocos nucifera; Betel Nut (Supari), Areca catechu; Litchi (Lichu), Litchi chinensis, Neem, Azadirachta indica and several species of bamboo as the minor trees along the crop lands in the Gangetic flood plain areas for fruits, timber, fuel, building materials and for some other economic products.